Radhanath Swami – Is God a person? While wandering in the forests, Richard (now Radhanath Swami) came upon Sita Rama Baba, ‘the standing baba’. Over sixty years of age, Sita Rama Baba followed extreme vows, far beyond the vow of celibacy. He vowed to always stand on his feet and never sit or lay down. For almost fifty years, he had observed this penance. Along with his begging pot and prayer beads, he carried a rope and a wooden plank that he would hang from a tree branch like a swing. At night, he would lean on this and sleep standing up. 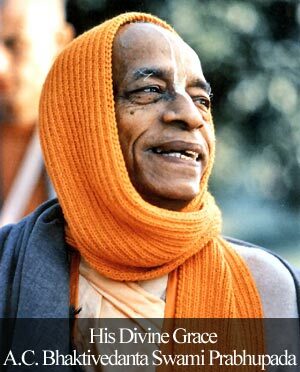 He immediately treated Richard (now Radhanath Swami) with the love of a father for a son. During Richard’s stay with him, he never saw the Baba eat anything more than a handful of cheap peanuts given to him while begging. Although Richard could not understand his strange vows, still he had attracted Richard’s sincere love and trust. It is said that artificial austerity makes the heart hard. But his heart was soft and filled with humility, compassion, and devotion. Radhanath Swami’s interactions with many holy men have revealed to him that for practitioners of Bhakti Yoga, God’s ultimate existence as impersonal is not only unacceptable, it’s also deeply painful. This is because a bhakti-yogi experiences constant reciprocation from God, and shares a sweet loving relationship with Him. Radhanath Swami also offers a simple definition of God that is in agreement with all theistic traditions of the world, “God is cause of all causes and source of everything.” Then Radhanath Swami proposes if God is the source of everything that we see in this world, then God Himself should contain the essential attributes of everything, else He would be lesser than His creation. In this world, there exist both persons and impersonal forces, so both these aspects should be present in God. If God were not a person, then He would be incomplete. In other words, the Complete Being would be incomplete, which is totally illogical. Radhanath Swami also presents this logic in a simpler way: if we as the children of God are persons how can our father God not be a person? Is Absolute Truth Personal or Impersonal? In this age of total impersonalism, this meditation of Radhanath Swami opens our eyes to the real world of loving God as a Person. As Radhanath Swami explains beautifully, due to our coverings and advancement in the materialistic world we have lost faith even in the existence of God, what to speak of accepting Him as a Person. 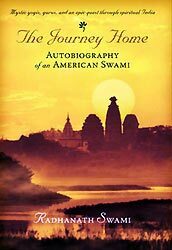 Thank you Radhanath Swami for this wonderful meditation through which we can rebuild our faith in God and render loving service unto His Lotus Feet under your guidance. Simply Unbelievable!! I never heard such a convincing answer as that to such a controversial question! 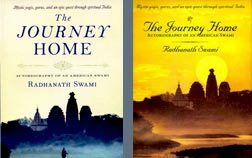 Radhanath Swami puts all doubts to rest by resolving all such contradictions in the simultaneous personal and impersonal existence of god. yes because of influence of the matter and upbringing we impose our conception of limited matter onto all powerful god which is beyond our sense perception and thinking process. Maharaj has clarified that God has both the aspects personal and impersonal also. thank you maharaj for clarifying. wonderful & profound realization shared by Radhanath Swami..
What a wonderful article, thanks for sharing. Radhanath Swami simplifies the most controversial and complex topic of God being personal or impersonal. Really, we need to hear from saintly persons to understand about God. thank u maharaj for such lucid explanation!! Reading this narration helps build stronger faith that indeed God is a person. Radhanath Swami justified the personality of God very clearly. All glories to Radhanath Swami. From long time I was not getting a very clear idea of this confusion but Now after reading this especially the point that we try to superimpose our material concept of form on Totally spiritual form/aspect of God and then understand and thats why we misunderstand. Simple yet convincing explaination from Radhanath Mahraj about God being personal. Beautifully explained point by Radhanath swami. Very nicely explained – Thanks a lot Maharaj. This shows how much limited our thinking is and how we try to impose it on god. Thank you maharaj. Very nice explanation !Thanks Maharaj ! I’ve never had any inclinations to enquire about God. but such intriguing articles inspire me to strive to know about God. God’s personal features are more attractive to a devotee who can connect with Him in sweet, loving relationship.Maharaj came to a correct understanding regarding Lord’s features as a person. Maharaj”s open-minddness helped him choose the right path of Bhakti.Thanks Maharaj for sharing this conclusion. Thank you very much for sharing your realizations. Radhanath Maharaj explanation on this controversial subject Amazing …. Radhanath swami gives us right conclusion of vedas, by which we can understand Absolute truth.